I'm in love with this adorable stamp and die set...I'm not sure how I'm going to continue to use this one come summer, but darn if I won't find a way somehow, LOL. 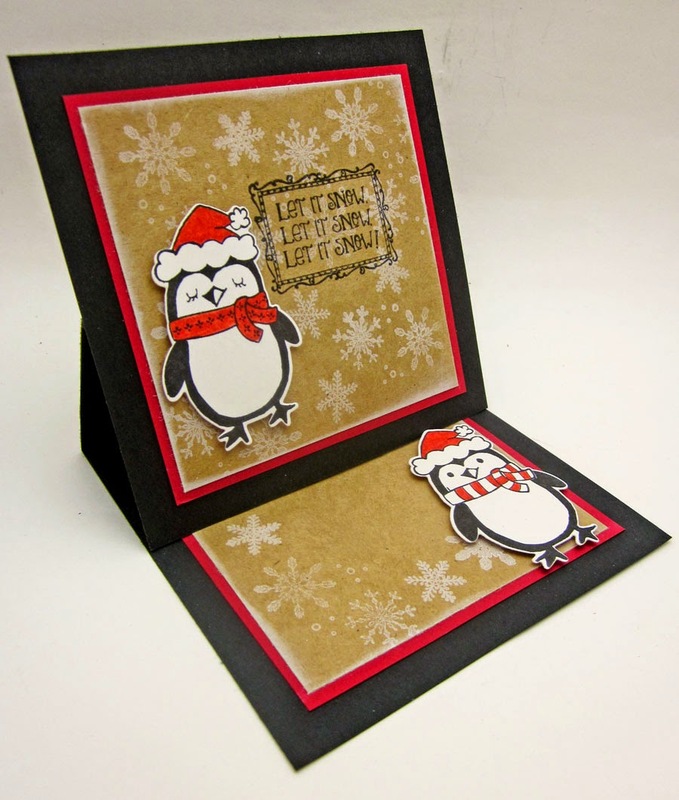 The matching stamp and dies make it super each to cut out the penguins perfectly for your projects. 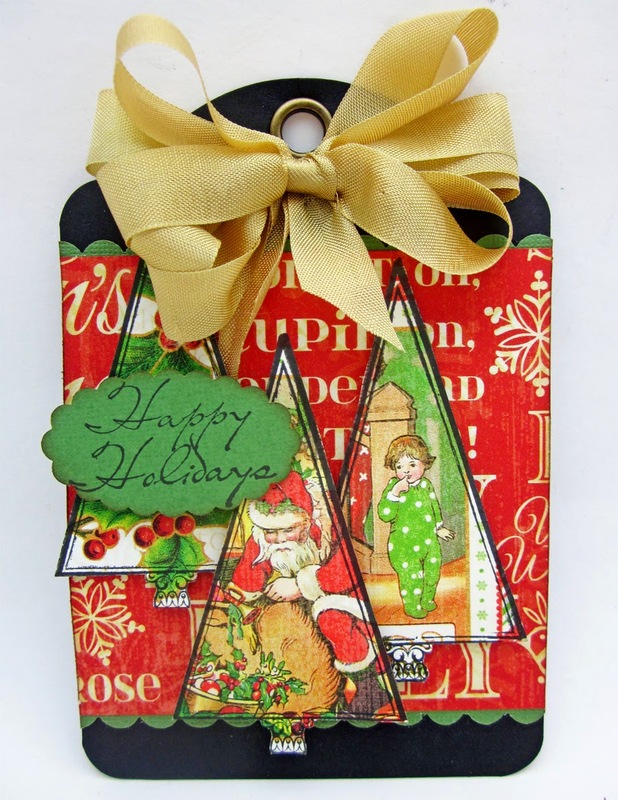 I also love easel cards and they are super easy to make but really give a wow factor when opened. You can create all sizes of easel cards, this one just happens to be a 5 x 5. 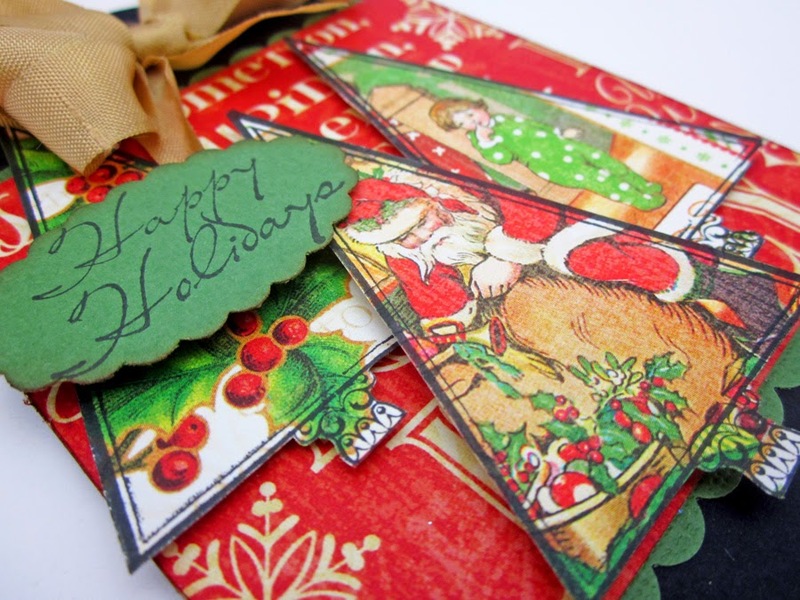 For this card I used the Christmas Tree stamp set to stamp around chosen images from the printed paper and then fussy cut out the stamped trees. I love the subtle look the stamps gave. Such a wonderful addition to the top of any package this holiday season.